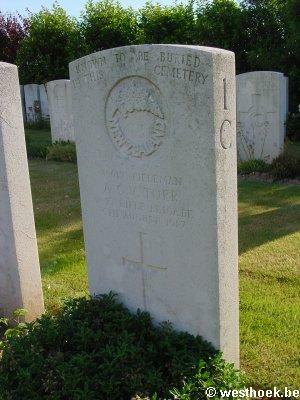 Bethleem Farm West cemetery is located 10 km south of Ieper town centre and 1 km south east of Mesen, on a road called the Rijselstraat, which leads from Mesen market square. 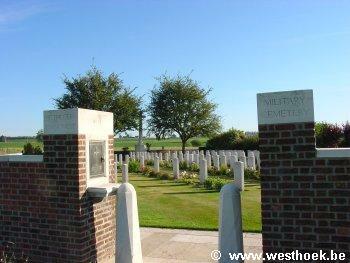 (Mesen itself is located 10 km from Ieper via the N365 connecting Ieper to Armentieres). The cemetery lies 1 km beyond Mesen market place along the Rijselsestraat, on the right hand side of the road, towards a farmstead. Visitors to this site should note a short grassed access path which is unsuitable for vehicles. BETHLEEM FARM WEST CEMETERY Bethleem Farm West Cemetery was created in June 1917 by units of the 3rd Australian Division who captured the farm. Its use was continued until the end of 1917 by the 14th (Light) Division. 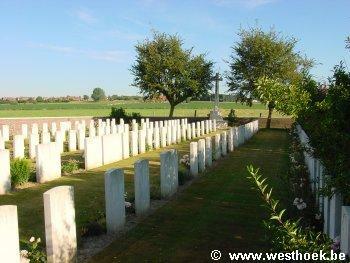 There are now over 150, 1914-18 and 1 unidentified soldier of the 1939-45 war commemorated in this site. A special memorial is erected to a New Zealand soldier whose grave in the cemetery was destroyed by shell fire. 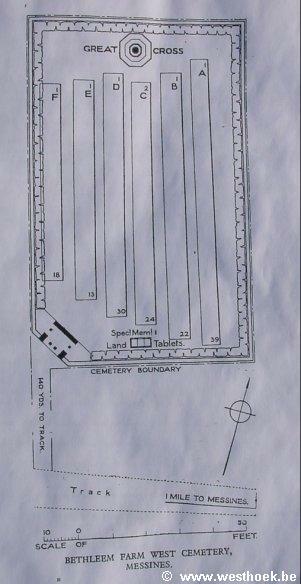 The cemetery covers an area of 630 square metres and is enclosed by a brick wall.